As long as you control an artifact, Dhund Operative gets +1/+0 and has deathtouch. 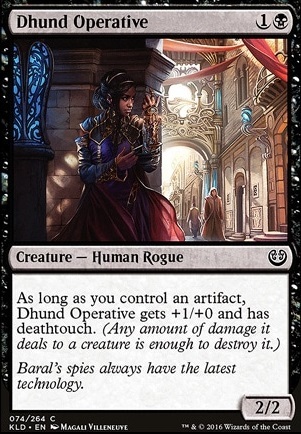 There are a few cards in here that seem like they could be improved... Dhund Operative seems like it's not doing anything, and Metallic Rebuke could be replaced with Stoic Rebuttal . Sphinx's Tutelage also seems like a good addition. 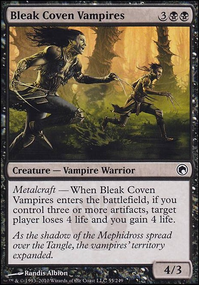 You have a couple of cards that aren't standard format legal Vampire Envoy and Unnatural Endurance. So the direction to take changes a lot depending on what format you want to play - standard vs. casual with friends vs. a different store or home format like: Modern, EDH(also called Commander), Brawl, Two Headed Giant, Vintage, Legacy, or Pauper. https://whatsinstandard.com/ is a good way to reference what sets of magic are currently considered "standard". 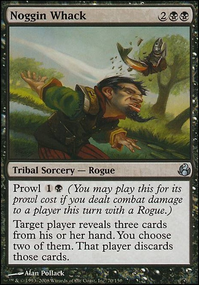 Another example is that you only have 5 artifacts in total so cards like Embraal Bruiser or Dhund Operative or Fen Hauler aren't going to be as effective. Making their copies easy removes (unless you want to 4x of each of your artifacts and then 4x these cards building a more artifact oriented deck! Decisions decisions). Things like Cartouche of Ambition and Trial of Ambition have fantastic synergy with each other and your planeswalker so if you'd like to run them (and be able to see them consistently between games) then you'd go with 4x of each and cut some other stuff. Scryfall(Better than WotC's Gatherer) and EDHREC will be your best friends searching for cards to make decks with; EDHREC is for the EDH format where it's 100 cards no more or less with no duplicate cards and a "commander" but you can look there for cards within colours, themes, and strategies like -1/-1 counters: (https://edhrec.com/themes/m1-m1-counters) which would be a good synergy with Liliana, Death Wielder. I actually have the Gideon, Martial Paragon planeswalker deck from Amonkhet and my next craft is to turn it into a viable casual modern deck, since Amonkhet will eventually rotate out of standard but Gideon, nor will this iteration of Liliana, will ever be competitive modern! Welcome to magic! I only started in Amonkhet myself and am having a blast. Sorry for the long winded response. Why not run Gifted Aetherborn instead of Dhund Operative? 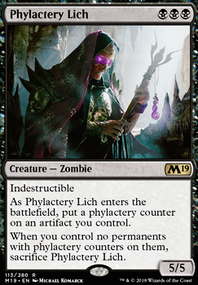 the Aetherborn gives you a bit of lifegain, and always has deathtouch which can help you survive without your golem on the field being flipped. Dhund Operative might work well for an early game addition. I'd recommend picking between going fully -1/-1 counters, or fully +1/+1 counters. Having the mix of both makes the deck a bit unfocused. 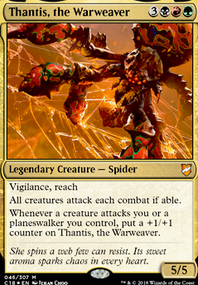 Both are pretty good, if you were to go down the +1 coutners, then you'd want to play more things like Longtusk Cub and Rishkar, Peema Renegade. If you're going -1 counters then Hapatra, Vizier of Poisons and other creatures that add -1 counters on themselves/ spills that put it on your opponents creatures are better. Dhund Operative isn't that good with only 3 artifacts. Id recommend either playing more artifacts, or playing more Gifted Aetherborn instead but this could be an issue for your manabase to consistently get it out. Ramunap Excavator doesn't seem like it generates enough value with only Grasping Dunes and Evolving Wilds. I'd recommend either cutting the excavator for a better 3 drop, or adding Ifnir Deadlands/ Hashep Oasis for more value. Overall I'd say the deck needs to be a bit more focused on a strategy, but there are plenty you can go off of from here with a bit of modification. You could go +1/+1 or -1/-1 counters, deathtouch themed, desert value, or even a potent green aggro deck with black supporting for removal. You've got a lot of options and all you need to do is pick one you think you'd enjoy and you should do alright! I would prioritize Lightning Strike over Shock. The extra damage for the mana helps kills more important targets in the format. Cards you will likely want to cut from your deck include: Fling, Open Fire, Fireforger's Puzzleknot, Renegade Tactics, Spreading Rot , Dhund Operative, Embraal Gear-Smasher, Spireside Infiltrator, Welder Automaton. If you want to make use of any of the cut cards let me know and I will try to see about suggesting some card options to help it stay in deck. The reason I suggest the removal of these cards are that most are not synergizing that well with what you say you want your deck to do (ex:Dhund Operative not enough artifacts to run) or are cards that are weaker then other card options (ex: Open Fire < Lightning Strike).